Avoid deep milling to a shoulder if possible. Average cutting length of an end mill is 2½ times the diameter. Extra long end mills are available, having a cutting length of 4 times the diameter. 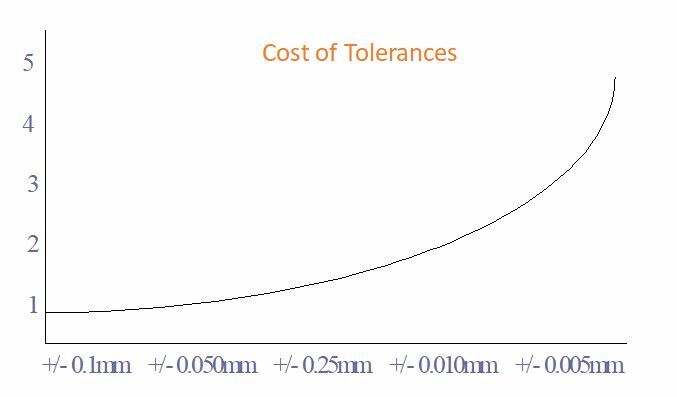 However, cutting performance is much slower and tooling costs are a lot higher. 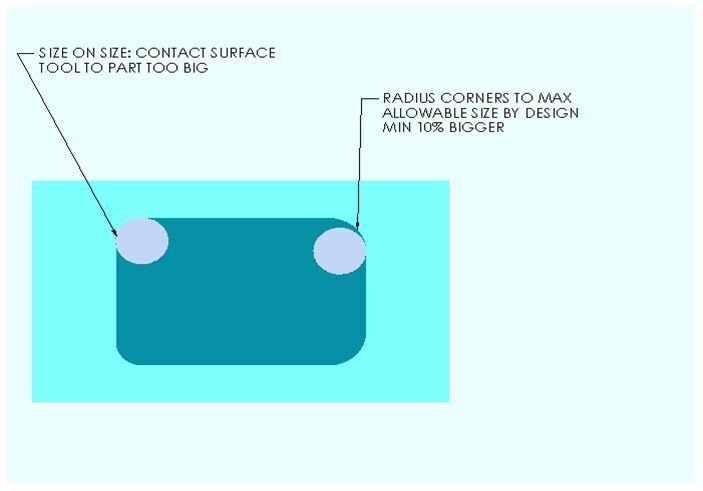 Due to cost and availability, parts should be designed to accommodate standard inch size tooling wherever possible. Example: If the pocket containing 7mm radius- 1.2” end mill can be used. 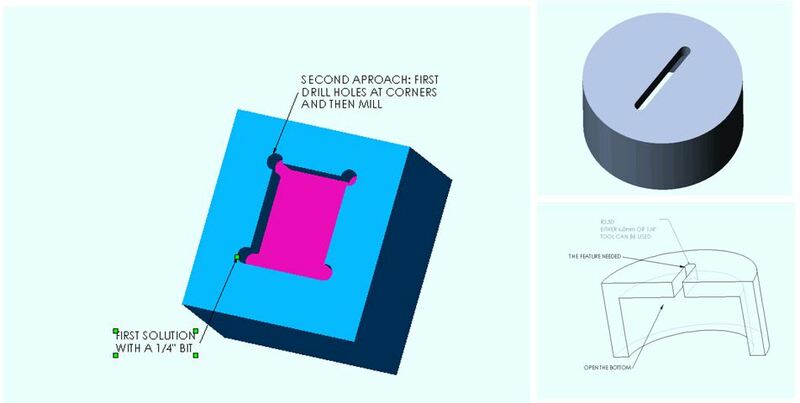 Tap Drill Blind Hole should be Drilled 1½ to 2 times Deeper the Drill Diameter deeper. This will allow full Tap Depth. 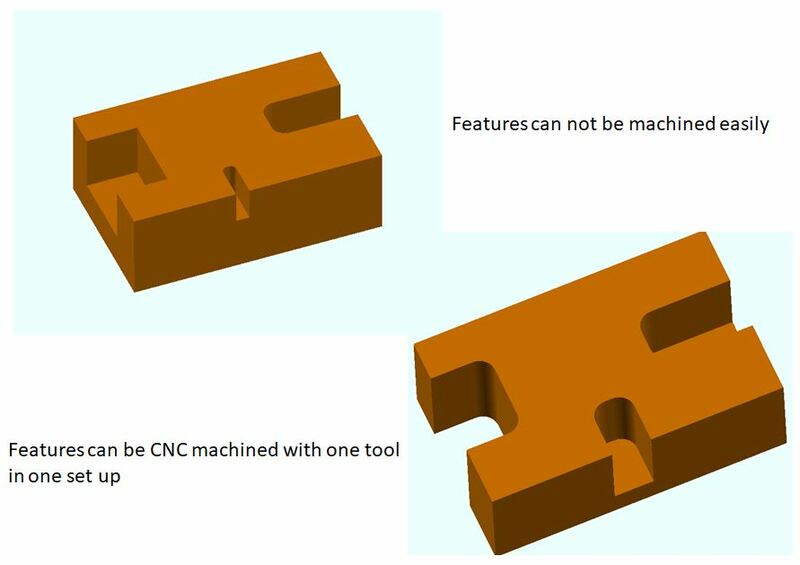 Designers need to be aware, how many different tools will be needed to make the part. 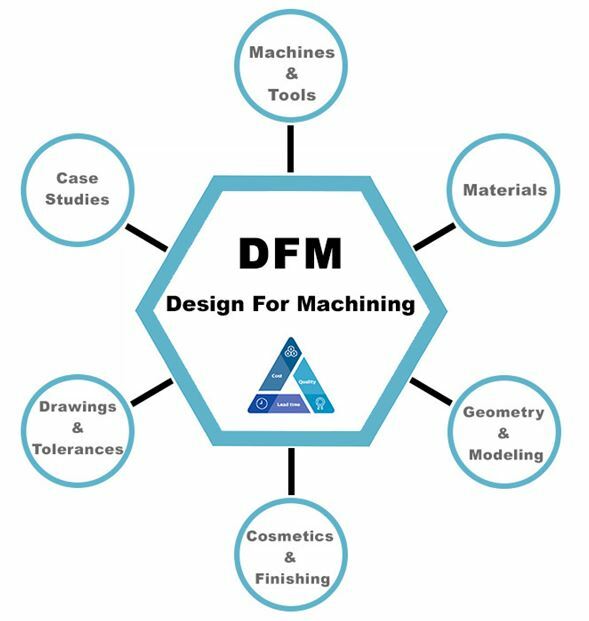 Try to minimize the number of required tools in part design to reduce Machining cost.